Which Are the Best Yoga Poses for High Blood Pressure and Which Should You Avoid? Yoga can be a very beneficial therapy for controlling and lowering high blood pressure naturally. The gentle, soothing practice of yoga asanas settles both mind and body and reduces stress—a leading cause of hypertension. 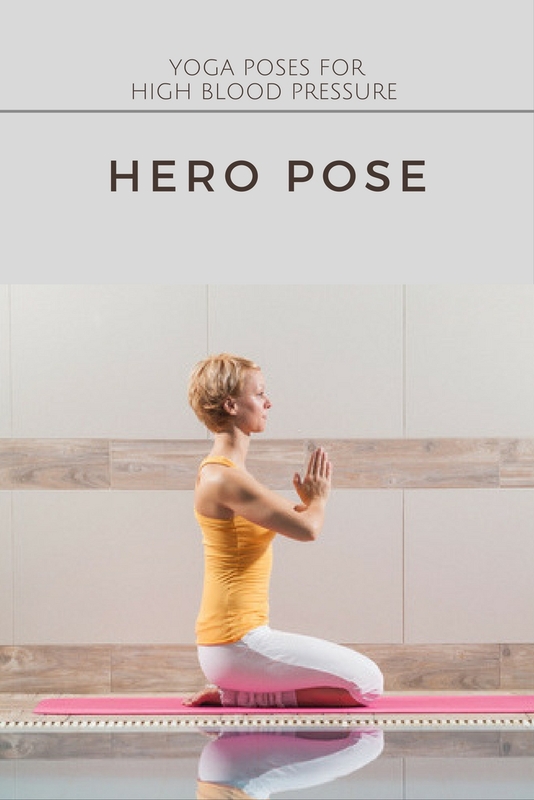 If you choose the right yoga poses, yoga can help to switch on the parasympathetic nervous system, which is responsible for rest and repair, and turn off the sympathetic nervous system, used for the fight-or-flight stress response. Increased parasympathetic activity has a beneficial effect on many systems in the body, and allows the nervous system to become more balanced. This is one way in which practicing yoga for high bp can help free up the body’s inherent healing response to reduce blood pressure naturally. Used corrrectly, yoga can be a great therapy for high blood pressure. However, there are some cautions that need to be considered, and you are best off working with a yoga therapist that can personally tailor your practice of yoga, if you have high blood pressure. If you are on hypertensive medication, you will want to continue your medication and only phase it out under a doctor’s supervision. Even though your high blood pressure is lowered by medication, it is not stable at that lower reading. So even if your blood pressure has been lowered to normal levels by medication, it is still important to go by the following precautions when practicing yoga with high blood pressure. A stress test may be crucial before you start. If you have, any of the following conditions, it is essential seeing your physician. Any medications you may be taking should also be discussed with your physician. You have risk factors for cardiovascular disease such as diabetes, high cholesterol, atherosclerosis, or high inflammatory markers, such as high levels of homocysteine or C-reactive protein. In general, yoga asanas that put the body in an inverted position, i.e. having the legs higher than the heart and the heart higher than the head, should be avoided by people with cardiovascular disease. Shoulderstand (Sarvangasana) or Headstand Pose (Sirsasana). 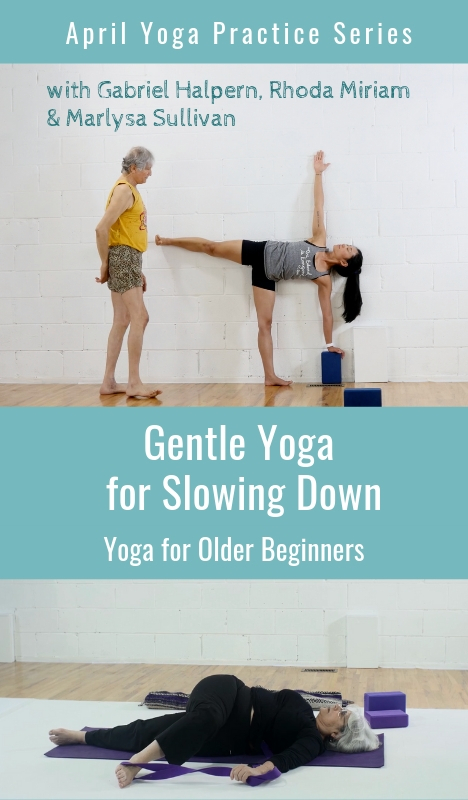 These two yoga poses increase blood pressure in the head the most, because the legs and trunk are maximally elevated and the head is as far below the heart as possible. Even gentle, relaxing inversions like Legs Up the Wall Pose (Viparita Karani) are poses to avoid with high blood pressure. Generally speaking, yoga poses that do not invert the body are beneficial for people with high blood pressure. Calming restorative yoga asanas are particularly useful for reducing stress and lowering blood pressure naturally. Intensive stretching poses like leg stretches (e.g. one-legged leg stretch (Janusirsana) and gentle hip openers like supine pigeon are also effective yoga poses for high blood pressure. The best yoga poses for high blood pressure are poses that put the spine in a horizontal position. This allows the heart to slow down, as it takes less effort to pump the blood to the brain. 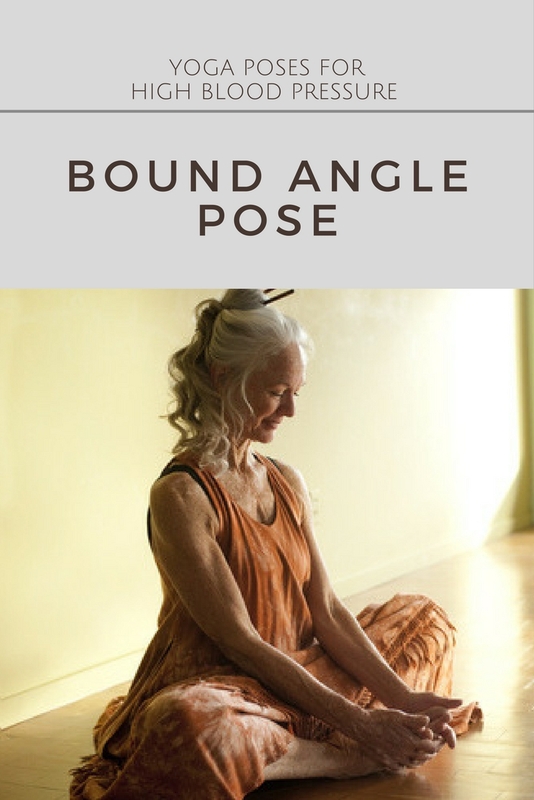 Seated positions like Bound Angle Pose (Baddhakonasana), Hero Pose (Virasana), and Wide-Angle Seated Forward Bend (Upavista Konasana) can be very useful yoga exercises for high blood pressure. Mild inversions can be introduced gradually: A great alternative to Legs Up the Wall Pose (Viparita Karani), for example, with similar relaxing and calming effects, is Supported Bridge Pose (Setu Bandha Sarvangasana) done on bolsters. 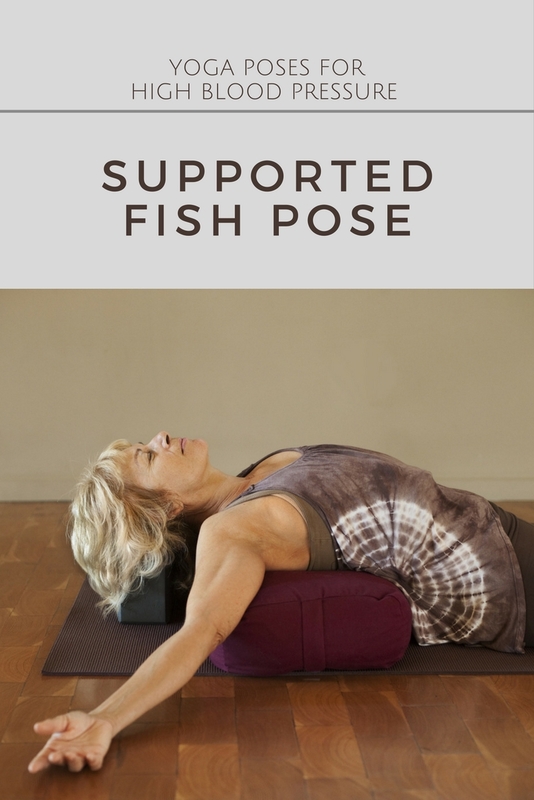 Bridge Pose is said to be energizing for the kidneys and soothing for the nervous system, which can help lowering high blood pressure. 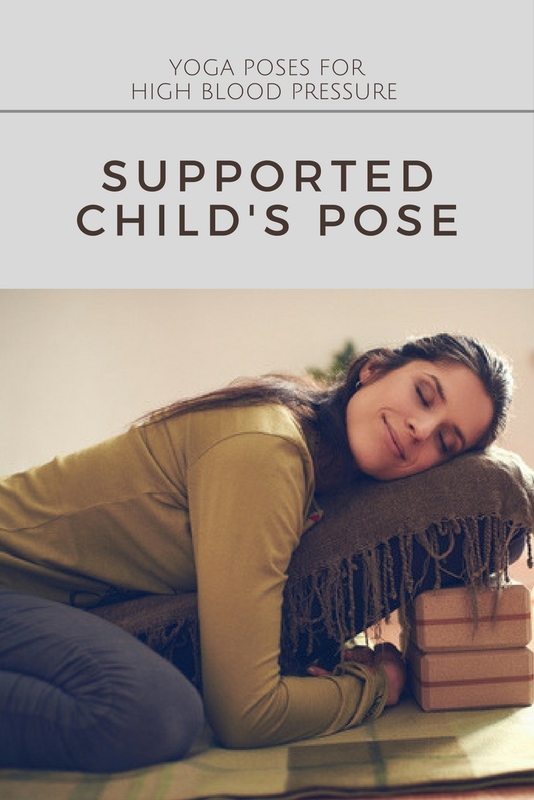 While the head is slightly below the heart in this pose, Supported Bridge Pose is generally considered to be acceptable for students with high blood pressure. Can yogic breathing exercises and Pranayama help to reduce blood pressure? There is a lot of evidence suggesting that yes; breathing exercises can be another helpful tool to lower blood pressure naturally. Deep breathing for high blood pressure works by calming your sympathetic nervous system and increasing blood flow to your tissues-particularly to your heart as your diaphragm moves up and down. One study demonstrated that taking 6 deep breaths in half a minute reduced systolic blood pressure by over 3.4 units when compared to those sitting quietly. Utilizing yoga for high blood pressure is most useful if done as part of a multi-theraputic approach, including lifestyle changes and Ayurvedic remedies for stress and high blood pressure. As always, when it comes to natural healing, getting results are not usually as quick and easy as popping a pill. 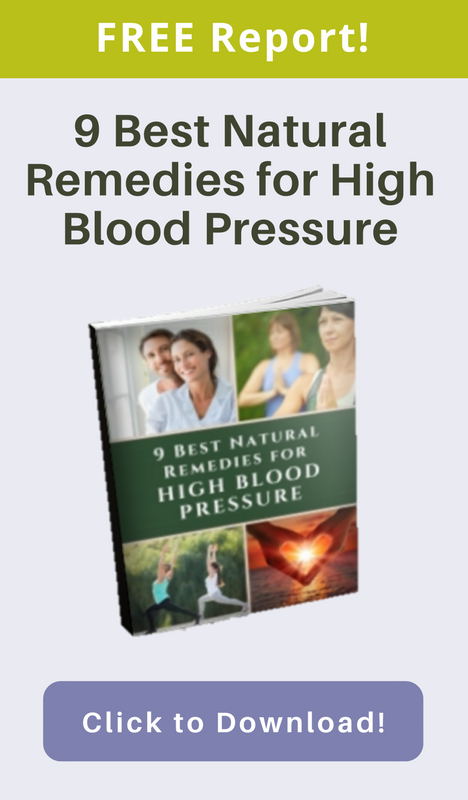 The good news is, however, that when you take steps to lower blood pressure naturally by helping the body’s own healing response to take care of the problem, you get true, holistic healing. As your nervous system becomes more balanced, your whole mind and body system benefits. This means you, generally speaking, will feel better, have more energy, will perform better during the day, and have more resources for coping with stress. Michael A. Scheinbaum, M.S., C.N.A., is a Natural Health Practitioner and author of "Reduce Blood Pressure Naturally" (XLibris, 2005). He is a certified practitioner of Axiatonal Process, MariEl, CranioSacral Therapy, Touch for Health, and is a Tera-Mai™ Reiki Master. He also utilizes nutrition, diet, electro-acupuncture, acupressure, kinesiology, Bach Flower Remedies, gem elixirs, and other natural systems to enliven the clients’ inner healing power to create balance from a deep level of mind, body, and spirit.